The goal working with the clean lines of this simple modern pool was to provide privacy, screening and a visual backdrop. Designing a colonnade of trees to provide privacy and the soft textured landscape creates a relaxing pool environment for outdoor living. 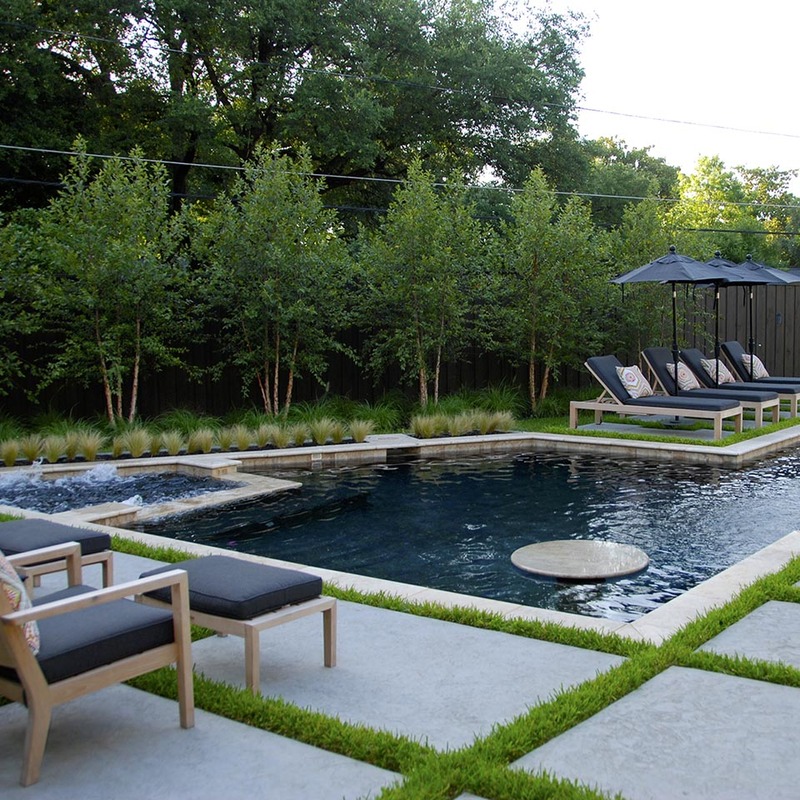 The offset pool with floating stone table, arched fountain jets and geometric shaped spa sit within an organized natural garden. The pool deck consists of stepper pad decking and is softened with natural grass seams. The outdoor living areas include deep seating chairs and a sun lounge area with umbrella canopies. Drought tolerant River Birch Trees and Mexican Feather grasses provide backdrop and screening for overhead power lines at the rear of the property.